We want every autistic person to have the opportunity to exercise their own choice to participate meaningfully in, and make a valued contribution to, our society. We build awareness, understanding, engagement and acceptance of autism. We develop community capacity by working with others to help them value and support autistic people and their families. The Amaze board is a skills-based board comprising Directors with core competencies in governance as well as specific expertise and qualifications relating to the organisation’s priorities. Autistic and non-autistic people from culturally and linguistically diverse (CALD) or Aboriginal and Torres Strait Islander backgrounds are also encouraged to apply where they have the skills and experience relevant to one of the expertise categories. 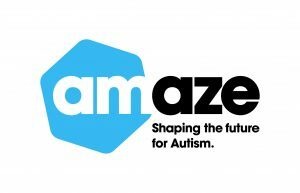 Our Social Impact: Amaze aims for a society that i) respects the dignity of every person on the autism spectrum and ii) offers each of them opportunities for meaningful participation and to make a valued contribution. Our Purpose: We build awareness and understanding of autism. We develop community capacity by working with others to help them value and support people on the autism spectrum and their families. Outcomes to be achieved by 2040: 1) Community awareness and understanding of autism in Victoria increases over time; 2) Attitudes and behaviours towards people on the autism spectrum by the Victorian community (government, private and social sectors) improves over time; 3) Opportunities for meaningful participation and a valued contribution increase for people on the autism spectrum. Strategic Activities: Build awareness and increase understanding of autism through media activity to promote facts and dispel myths, World Autism Awareness Day, provision of information and resources. Advocate for positive change through quality, evidence based advice to governments and other organisations on critical issues for autistic people including early identification and assessment, NDIS, education, employment, mental health, women & girls. Community engagement and capacity building through consultation with the autism community, improving knowledge, skills and capability of individuals and private, public and social organisations. Please quote in application: Amaze Inc. Non Executive Board Directors via Pro Bono Australia.